A startlingly personal profile of the critically acclaimed artist, director Steve Loveridge chronicles her remarkable journey from refugee immigrant to pop star. She began as Matangi. Daughter of the founder of Sri Lanka’s armed Tamil resistance, she hid from the government in the face of a vicious and bloody civil war. When her family fled to the UK, she became Maya, a precocious and creative immigrant teenager in London. Finally, the world met her as M.I.A. when she emerged on the global stage, having created a mashup, cut-and-paste identity that pulled from every corner of her journey along the way; a sonic sketchbook that blended Tamil politics, art school punk, hip-hop beats and the unwavering, ultra-confident voice of a burgeoning multicultural youth. Never one to compromise on her vision, Maya kept her camera rolling throughout. 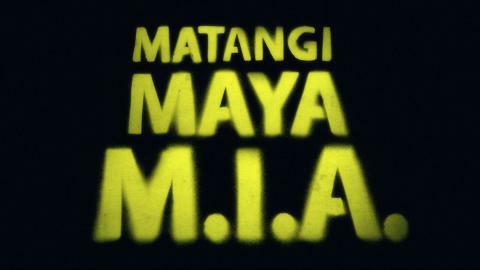 MATANGI / MAYA / M.I.A. provides unparalleled, intimate access to the artist in her battles with the music industry and mainstream media as her success and fame explodes, becoming one of the most recognisable, outspoken and provocative voices in music today. View Matangi, Maya or M.I.A. - just who is this problematic pop star?